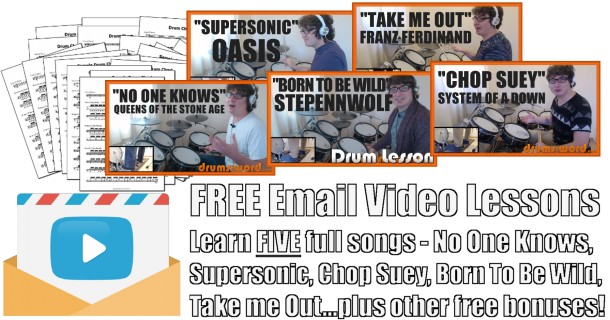 In this free drum lesson, I want to give you the FULL free PDF Drum Chart to the song “Fairytale Of New York” by The Pogues & Kirsty MacColl, featuring the drumming of Andrew Ranken. I’ve been ill all of this week and really wanted to give you the full video drum lesson to this song as well, but this virus has the better of me. I have been well enough to transcribe the chart for you though. This is such a fun Christmas song with great lyrics and an amazing uplifting melody. The drumming is also pretty tight as well. 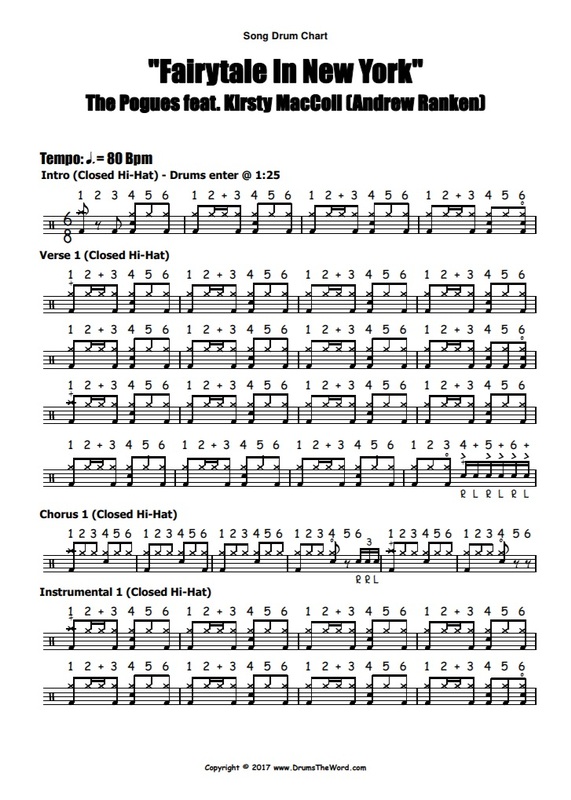 Featuring the time signature of 6/8, Andrew teases us with some basic but solid playing but then chooses the right moments to add some flourishes and unexpected drum fills. I will hopefully have another chart for you tomorrow, but just in case I don’t, Merry Christmas and I hope you enjoy your holidays!